When you're buying a home, it is important to understand its restrictive covenants, because they dictate how you can and cannot use the property. Restrictive covenants apply to a group of homes or lots—property that's part of a specific development or subdivision. Restrictive covenants are normally put in place by the original developer. A real estate attorney can answer any questions you might have about confusing clauses in restrictive covenants. Restrictions give a development a more standard appearance and control over some of the activities that take place within its boundaries. When enforced, covenants protect property values. 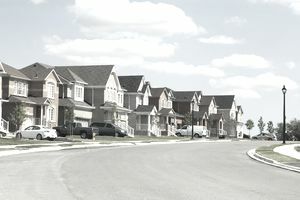 Restrictive covenants nearly always stipulate the minimum size residence allowed, the number of homes that may be built on one lot, and the type of style the homes must (or must not) be. Setbacks, such as how far homes must be from streets and interior lot lines. Easements, such as pathways for power lines or public roads. Rules regarding changing or voiding the covenants. Rules about pets and other animals (for instance, types of animals allowed and breeding rules). Regulations dealing with in-home businesses and home rentals. Clauses that dictate what type of fencing can be used or that forbid fencing. Clauses to reduce clutter on lots, such as prohibiting owners from storing certain types of vehicles near their homes. Some restrictions limit the paint colors that can be used on residence exteriors. Some might require that all homes have a certain type of siding. In areas where wildfires are common, covenants might require developers to use flame retardant building materials. The home seller of a residence within a development provides the buyer with a copy of the declaration of covenants, conditions, and restrictions (CC&Rs) document. Some sellers may provide prospective buyers with a copy of the document upfront before the buyers make an offer. Most real estate sales contracts, however, have clauses that give the buyers of a home within a development a set number of days to review its CC&Rs and confirm that they agree with them before proceeding with the sale. For homes not located within developments, if restriction documents are not offered, ask for them. If no one has a copy, go to the county courthouse and ask for assistance finding them—they may be in the public records. Wording that limits property use, such as "no mobile homes," or "no commercial use." Any statements that give others the right to use the property, such as easement rights. If statements reference a prior deed, look it up also. Restrictive covenants have nothing to do with zoning or governmental regulations. Those are separate issues that can also affect the way you use the property. When you need to do your own research to find out about a property's restrictive covenants before you close on the sale, consider inserting a contingency clause in your offer to protect your interests. The clause should be worded to give you time to read and approve the restrictions, and to allow you to back out of the contract with no penalties if you do not approve of them.